Kuala Lumpur ( or ; [ˈkwalə ˈlumpʊr]), officially the Federal Territory of Kuala Lumpur, or commonly KL, is the national capital of Malaysia as well as its largest city. The only alpha world city in Malaysia, it covers an area of 243 km2 (94 sq mi) and has an estimated population of 1.73 million as of 2016. Greater Kuala Lumpur, also known as the Klang Valley, is an urban agglomeration of 7.25 million people as of 2017. It is among the fastest growing metropolitan regions in South-East Asia, in both population and economic development. Kuala Lumpur has a comprehensive road system that is supported by extensive public transport networks such as the Mass Rapid Transit (MRT), Light Metro (LRT), monorail, elevated Bus Rapid Transit, commuter rail and airport rail link. Kuala Lumpur is one of the leading cities in the world for tourism and shopping. It is the seventh most visited city in the world. The city is also home to three of the world's 10 largest malls. Kuala Lumpur means "muddy confluence"; kuala is the point where two rivers join together or an estuary, and lumpur means "mud". One suggestion is that it was named after Sungai Lumpur ("muddy river"); it was recorded in 1824 that Sungei Lumpoor was the most important tin-producing settlement up the Klang River. Doubts however have been raised on such a derivation as Kuala Lumpur lies at the confluence of Gombak River and Klang River, therefore should rightly be named Kuala Gombak as the point where one river joins another or the sea is its kuala. It has been argued by some that Sungai Lumpur is in fact Gombak River (therefore the point where it joined the Klang River would be Kuala Lumpur), although Sungai Lumpur is said to be another river joining the Klang River a mile upstream from the Gombak confluence, or perhaps located to the north of the Batu Caves area. It has also been proposed that Kuala Lumpur was originally named Pengkalan Lumpur ("muddy landing place") in the same way that Klang was once called Pengkalan Batu ("stone landing place"), but became corrupted into Kuala Lumpur. Another suggestion is that it was initially a Cantonese word lam-pa meaning 'flooded jungle' or 'decayed jungle'. There is however no firm contemporary evidence for these suggestions other than anecdotes. It is also possible that the name is a corrupted form of an earlier but now unidentifiable forgotten name. It is unknown who founded or named the settlement called Kuala Lumpur. Chinese miners were involved in tin mining up the Selangor River in the 1840s about ten miles north of present-day Kuala Lumpur, and Mandailing Sumatrans led by Raja Asal and Sutan Puasa were also involved in tin mining and trade in the Ulu Klang region before 1860, and Sumatrans may have settled in the upper reaches of Klang River in the first quarter of the 19th century, possibly earlier. Kuala Lumpur was originally a small hamlet of just a few houses and shops at the confluence of Sungai Gombak and Sungai Klang (Klang River) before it grew into a town. It is generally accepted that Kuala Lumpur become established as a town circa 1857, when the Malay Chief of Klang, Raja Abdullah bin Raja Jaafar, aided by his brother Raja Juma'at of Lukut, raised funds to hire some Chinese miners from Lukut to open new tin mines here. The miners landed at Kuala Lumpur and continued their journey on foot to Ampang where the first mine was opened. Kuala Lumpur was the furthest point up the Klang River to which supplies could conveniently be brought by boat; it therefore became a collection and dispersal point serving the tin mines. Although the early miners suffered a high death toll due to the malarial conditions of the jungle, the Ampang mines were successful, and the first tin from these mines was exported in 1859. 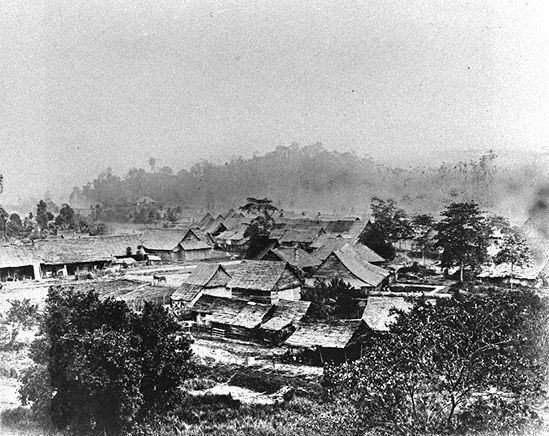 The tin-mining spurred the growth of the town, and miners later also settled in Pudu and Batu. The miners formed gangs among themselves; and fights between different gangs were frequent in this period, mainly to gain control of the best tin mines. Leaders of the Chinese community were conferred the title of Kapitan Cina (Chinese headman) by the Malay chief, and Hiu Siew, the owner of a mine in Lukut, was chosen as the first Kapitan of Kuala Lumpur. As one of the first traders to arrive in Ampang (along with Yap Ah Sze), he sold provisions to the miners in exchange for tin. The third Chinese Kapitan of Kuala Lumpur, Yap Ah Loy, was appointed in 1868. Important Malay figures of early Kuala lumpur also include the Dato' Dagang ("chief of traders") and Haji Tahir. The Minangkabaus were another important group of people in the early period; Minangkabau traders from Sumatra include Utsman Abdullah, and Haji Mohamed Taib who was involved in the early development of Kampung Baru. The Minangkabaus are also important socio-religious figures, for example Utsman bin Abdullah was the first kadi of Kuala Lumpur as well as Muhammad Nur bin Ismail. Early Kuala Lumpur was a small town that suffered from many social and political problems – the buildings were made of wood and atap (palm frond thatching) that were prone to fire, lack of proper sanitation plagued the town with diseases, and it suffered from a constant threat of flooding. 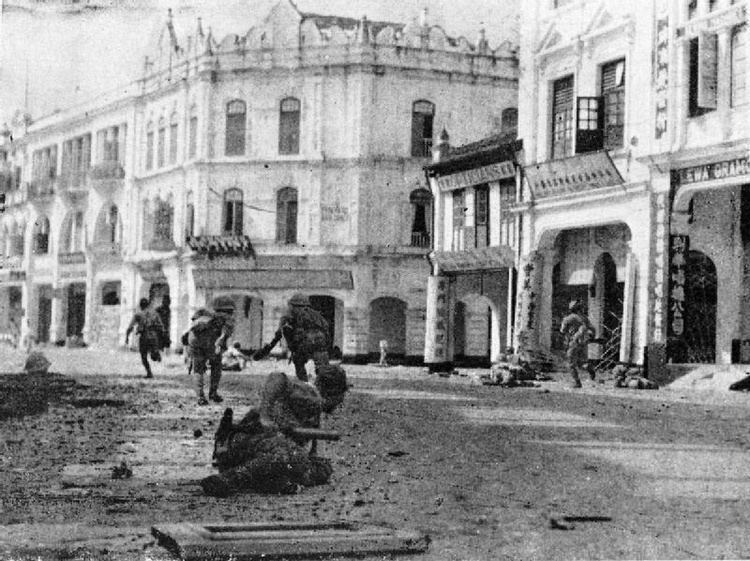 The town became embroiled in the Selangor Civil War due in part to the fight for control of revenues from the tin mines. The Chinese Kapitan Yap Ah Loy aligned himself with Tengku Kudin, and the rival Chinese gang allied themselves with Raja Mahdi. Raja Asal and Sutan Puasa also switched side to Raja Mahdi, and Kuala Lumpur was captured in 1872 and burnt to the ground. Yap escaped to Klang where he reassembled a fighting force. Kuala Lumpur was recaptured by Yap in March 1873 when Raja Mahdi forces were defeated with the help of fighters from Pahang. The war and other setbacks, such as a drop in tin prices, led to a slump, furthermore a major outbreak of cholera in late 1870s caused many to flee the town. The slump lasted until late 1879, when a rise in the price of tin allowed the town to recover. In late 1881, the town was severely flooded, following a fire that had destroyed the entire town in January that year. That the town was rebuilt a few times and thrived was due in large part to the tenacity and persistence of Yap Ah Loy. Yap, together with Frank Swettenham who was appointed the Resident in 1882, were the two most important figures of early Kuala Lumpur with Swettenham credited with its rapid growth and development and its transformation into a major urban center. Frank Swettenham, on becoming the British Resident, began improving the town by cleaning up the streets. He also stipulated in 1884 that buildings should be constructed of brick and tile so that they would be less flammable, and that the town be rebuilt with wider streets to reduce fire risk. Kapitan Yap Ah Loy bought a sprawling piece of real estate to set up a brick industry for the rebuilding of Kuala Lumpur; this place is the eponymous Brickfields. Destroyed atap buildings were replaced with brick and tiled ones, and many of the new brick buildings are characterised by the "five foot ways" as well as Chinese carpentry work. This resulted in a distinct eclectic shop house architecture typical to this region. Kapitan Yap Ah Loy expanded road access in the city significantly, linking up tin mines with the city; these roads include the main arterial routes of the present Ampang Road, Pudu Road and Petaling Street. As Chinese Kapitan, he was vested with wide powers on a par with Malay community leaders. Law reforms were implemented and new legal measures introduced to the assembly. Yap also presided over a small claims court. With a police force of six, he was able to uphold the rule of law, constructing a prison that could accommodate 60 prisoners at any time. Kapitan Yap Ah Loy also built Kuala Lumpur's first school and a major tapioca mill in Petaling Street of which the Selangor's Sultan Abdul Samad held an interest. Kuala Lumpur achieved city status in 1972, becoming the first settlement in Malaysia to be granted the status after independence. Later, on 1 February 1974, Kuala Lumpur became a Federal Territory. Kuala Lumpur ceased to be the capital of Selangor in 1978 after the city of Shah Alam was declared the new state capital. On 14 May 1990, Kuala Lumpur celebrated 100 years of local council. The new federal territory Kuala Lumpur flag and anthem were introduced. On 1 February 2001, Putrajaya was declared a Federal Territory, as well as the seat of the federal government. The administrative and judicial functions of the government were shifted from Kuala Lumpur to Putrajaya. Kuala Lumpur however still retained its legislative function, and remained the home of the Yang di-Pertuan Agong (Constitutional King). Located in the centre of Selangor state, Kuala Lumpur was previously under the rule of Selangor State Government. In 1974, Kuala Lumpur was separated from Selangor to form the first Federal Territory governed directly by the Malaysian Federal Government. Its location on the west coast of Peninsular Malaysia, which has wider flat land than the east coast, has contributed to its faster development relative to other cities in Malaysia. The municipality of the city covers an area of 243 km2 (94 sq mi), with an average elevation of 81.95 m (268.9 ft). Protected by the Titiwangsa Mountains in the east and Indonesia's Sumatra Island in the west, Kuala Lumpur has a tropical rainforest climate (Köppen climate classification Af), which is warm and sunny, along with abundant rainfall, especially during the northeast monsoon season from October to March. Temperatures tend to remain constant. Maximums hover between 32 and 33 °C (90 and 91 °F) and have never exceeded 38.5 °C (101.3 °F), while minimums hover between 23.4 and 24.6 °C (74.1 and 76.3 °F) and have never fallen below 14.4 °C (57.9 °F). Kuala Lumpur typically receives minimum 2,600 mm (100 in) of rain annually; June and July are relatively dry, but even then rainfall typically exceeds 131 millimetres (5.2 in) per month. Flooding is a frequent occurrence in Kuala Lumpur whenever there is a heavy downpour, especially in the city centre and downstream areas. Smoke from forest fires of nearby Sumatra sometimes casts a haze over the region. It is a major source of pollution in the city together with open burning, emission from motor vehicles and construction work. The city remains as the economic and business centre of the country. 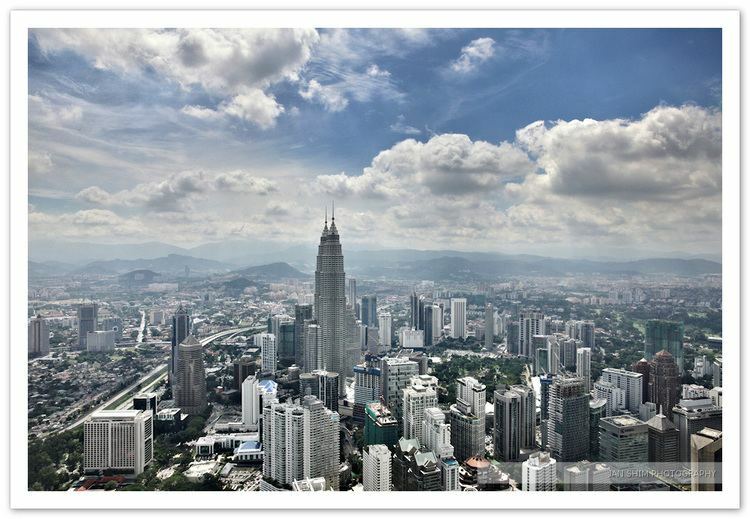 Kuala Lumpur is a centre for finance, insurance, real estate, media and the arts of Malaysia. Kuala Lumpur is rated as an alpha world city, and is the only global city in Malaysia, according to the Globalization and World Cities Study Group and Network (GaWC). The infrastructure development in the surrounding areas such as the Kuala Lumpur International Airport at Sepang, the creation of the Multimedia Super Corridor and the expansion of Port Klang further reinforce the economic significance of the city. Bursa Malaysia or the Malaysia Exchange is based in the city and forms one of its core economic activities. As of 5 July 2013, the market capitalisation stood at US$505.67 billion. The Gross Domestic Product (GDP) for Kuala Lumpur is estimated at RM73,536 million in 2008 with an average annual growth rate of 5.9 percent. By 2015, the GDP has reached RM160,388 million, representing 15.1% of the total GDP of Malaysia. The per capita GDP for Kuala Lumpur in 2013 was RM79,752 with an average annual growth rate of 5.6 percent, and RM94,722 in 2015. The total employment in Kuala Lumpur is estimated to be around 838,400 in 2000. The service sector comprising finance, insurance, real estate, business services, wholesale and retail trade, restaurants and hotels, transport, storage and communication, utilities, personal services and government services form the largest component of employment representing about 83.0 percent of the total. The remaining 17 percent comes from manufacturing and construction. 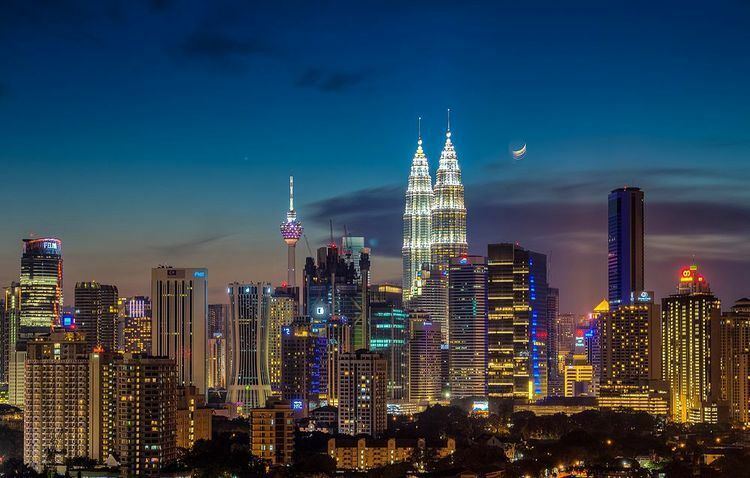 The average monthly household income for Kuala Lumpur was RM4,105 (USD 1,324) in 1999, up from RM3,371 (USD 1,087) four years prior, making it 66% higher than the national average. In terms of household income distribution, 23.5% of households in the city earned more than RM5,000 (USD 1,613) per month compared to 9.8% for the entire country, while 8.1% earned less than RM1,000 (USD 323) a month. The major tourist destinations in Kuala Lumpur include the PETRONAS Twin Tower, the Bukit Bintang shopping district, the Kuala Lumpur Tower, Petaling Street (Chinatown), the Merdeka Square, the House of Parliament, the National Palace (Istana Negara), Batu Caves, the National Museum, Islamic Arts Museum, Central Market, KL Bird Park, Aquaria KLCC, the National Monument, and religious sites such as the Sultan Abdul Samad Jamek Mosque. Kuala Lumpur plays host to many cultural festivals such as the Thaipusam procession at the Sri Mahamariamman Temple. Every year during the Thaipusam celebration, a silver chariot carrying the statue of Lord Muruga together with his consort Valli and Teivayanni would be paraded through the city beginning at the temple all the way to Batu Caves in the neighboring Selangor. Kuala Lumpur alone has 66 shopping malls and is the retail and fashion hub in Malaysia as well as Southeast Asia. Shopping in Malaysia contributed RM7.7 billion (USD 2.26 billion) or 20.8 percent of the RM31.9 billion tourism receipts in 2006. Suria KLCC is one of Malaysia's premier upscale shopping destination due to its location beneath the Petronas Twin Towers. Apart from Suria KLCC, Bukit Bintang district has the highest concentration of shopping malls in Kuala Lumpur. It includes: Pavilion, Fahrenheit 88, Plaza Low Yat, Berjaya Times Square, Lot 10, BB Plaza, Sungai Wang Plaza. Quill City Mall, Changkat area of Bukit Bintang hosts various cafes, alfresco dining outlets and illegal activities. Bangsar district also has a few shopping complexes, including Bangsar Village, Bangsar Shopping Centre, and Mid Valley Megamall. The Damansara subdivision north-west of Kuala Lumpur, though not in the city-proper, is the home of the one of the only two IKEA outlets in the country, and a cluster of locally operated malls like The Curve with KidZania, The Curve, Ikano Power Centre and One Utama, whereas Sunway Pyramid and Paradigm Mall can be found in the southern district of Greater Kuala Lumpur, Bandar Sunway. Apart from shopping complexes, Kuala Lumpur has designated numerous zones in the city to market locally manufactured products such as textiles, fabrics and handicrafts. The Chinatown of Kuala Lumpur, commonly known as Petaling Street, is one of them. Chinatown features many pre-independence buildings with Straits Chinese and colonial architectural influences. In 2000, the Malaysian Ministry of Tourism introduced the mega sale event for shopping in Malaysia. The mega sale event is held three times a year — in March, May and December — during which all shopping malls are encouraged to participate to boost Kuala Lumpur as a leading shopping destination in Asia. Kuala Lumpur is the most populous city in Malaysia, with a population of 1.76 million in the city proper as of 2016. It has a population density of 6,696 inhabitants per square kilometre (17,340/sq mi), and is the most densely populated administrative district in Malaysia. Residents of the city are colloquially known as KLites. Kuala Lumpur is also the centre of the wider Klang Valley metropolitan (covering Petaling Jaya, Klang, Subang Jaya, Shah Alam, Gombak and others) which has an estimated metropolitan population of 7.25 million as of 2017. Kuala Lumpur's heterogeneous populace includes the country's three major ethnic groups: the Malays, the Chinese and the Indians, although the city also has a mix of different cultures including Eurasians, as well as Kadazans, Ibans and other indigenous races from East Malaysia and Peninsula Malaysia. Historically Kuala Lumpur was a predominantly Chinese city, with the Kuala Lumpur of 1872 beside the Klang River described by Frank Swettenham as a "purely Chinese village", although a Malay stockade already existed at Bukit Nanas at that time. By 1875, after the Selangor Civil War had ended, Swettenham noted Malay quarters near the Chinese area in a sketch map he had drawn, and there were said to be 1,000 Chinese and 700 Malays in the town in this period (many of the Malays may have settled in Kuala Lumpur after the war). More recently the Bumiputra component of the city has increased substantially and they are now the dominant group. Large number of Malays were originally from the other islands of Malay Archipelago – Sumatrans such as the Mandailings, the Minangkabaus, Javanese, and Buginese began arriving in Kuala Lumpur in the 19th century, while the Acehnese arrived in the late 20th century. Many Pahang Malays who fought in the Selangor Civil War in 1873 also chose to settle in Selangor after the war. The population of Kuala Lumpur was estimated to be around three thousand in 1880 when it was made the capital of Selangor. In the following decade which saw the rebuilding of the town it showed considerable increase with a large influx of immigrants, due in large part to the construction of a railway line in 1886 connecting Kuala Lumpur and Klang. A census in 1891 of uncertain accuracy gave a figure of 43,796 inhabitants, 79% of whom were Chinese (71% of the Chinese were Hakka), 14% Malay, and 6% Indian. Another estimate put the population of Kuala Lumpur in 1890 at 20,000. In 1931, 61% of Kuala Lumpur's 111,418 inhabitants were Chinese, and in 1947 63.5%. The Malays however began to settle in the Kuala Lumpur in significant numbers, in part due to government employment, as well as the expansion of the city that absorbed the surrounding rural areas where many Malays lived. Between 1947 and 1957 the population of Malays in Kuala Lumpur doubled, increasing from 12.5 to 15%, while the proportion of Chinese dropped. The process continued after Malayan independence with the growth of a largely Malay civil service, and later the implementation of the New Economic Policy which encouraged Malay participation in urban industries and business. In 1980 the population of Kuala Lumpur had reached over a million, with 52% Chinese, 33% Malay, and 15% Indian. From 1980 to 2000 the number of Bumiputras increased by 77%, but the Chinese still outnumbered the Bumiputras in Kuala Lumpur in the 2000 census at 43% compared to Bumiputras at 38%. By the 2010 census, according to the Department of Statistics and excluding non-citizens, the percentage of the Bumiputera population in Kuala Lumpur has reached around 45.9%, with the Chinese population at 43.2% and Indians 10.3%. A notable phenomenon in recent times has been the increase of foreign residents in Kuala Lumpur, which rose from 1% of the city's population in 1980 to about 8% in the 2000 census, and 9.4% in the 2010 census. These figures also do not include a significant number of illegal immigrants. Kuala Lumpur's rapid development has triggered a huge influx of low-skilled foreign workers from Indonesia, Nepal, Burma, Thailand, Bangladesh, India, Pakistan, Sri Lanka, Philippines, and Vietnam into Malaysia, many of whom enter the country illegally or without proper permits. As of 2010 Census the population of Kuala Lumpur was 46.4% Muslim, 35.7% Buddhist, 8.5% Hindu, 5.8% Christian, 1.1% Taoist or Chinese religion adherent, 2.0% follower of other religions, and 0.5% non-religious. Bahasa Malaysia is the principal language in Kuala Lumpur. Kuala Lumpur residents are generally literate in English, with a large proportion adopting it as their first language. It has a strong presence, especially in business and is a compulsory language taught in schools. Cantonese and Mandarin are prominent as they are spoken by the local majority Chinese population. Another major dialect spoken is Hakka. While Tamil is dominant amongst the local Indian population, other Indian languages spoken include Telugu, Malayalam, Punjabi and Hindi. 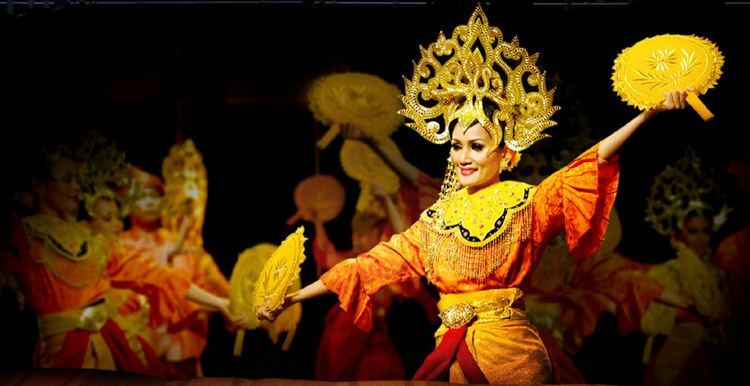 Beside the Malay language, there are a variety of languages spoken by people of Indonesian descent, such as Minangkabau and Javanese. Independence coupled with the rapid economic growth from the 1970s to the 1990s and with Islam being the official religion in the country, has resulted in the construction of buildings with a more local and Islamic flavour arise around the city. Many of these buildings derive their design from traditional Malay items such as the songkok and the keris. Some of these buildings have Islamic geometric motifs integrated with the designs of the building, signifying Islamic restriction on imitating nature through drawings. Examples of these buildings are Menara Telekom, Menara Maybank, Dayabumi Complex, and the Islamic Centre. Some buildings such as the Islamic Arts Museum Malaysia and National Planetarium have been built to masquerade as a place of worship, complete with dome and minaret, when in fact it is a place of science and knowledge. The 452-metre (1,483 ft) tall Petronas Twin Towers are the tallest twin buildings in the world. They were designed to resemble motifs found in Islamic art. Late modern and postmodern architecture began to appear in the late-1990s and early-2000s. With the economic development, old buildings such as Bok House have been razed to make way for new ones. Buildings with all-glass shells exist throughout the city, with the most prominent examples being the Petronas Twin Towers and Kuala Lumpur Convention Centre. Kuala Lumpur's central business district today has shifted around the Kuala Lumpur city centre (KLCC) where many new and tall buildings with modern and postmodern architecture fill the skyline. According to the World Tallest 50 Urban Agglomeration 2010 Projection by the Council on Tall Buildings and Urban Habitat, Kuala Lumpur was ranked 10th among cities to have most buildings above 100 metres with a combined height of 34,035 metres from its 244 high rise buildings. According to government statistics, Kuala Lumpur has a literacy rate of 97.5% in 2000, the highest rate in any state or territory in Malaysia. In Malaysia, Malay is the language of instruction for most subjects while English is a compulsory subject, but as of 2012, English is still the language of instruction for mathematics and the natural sciences for certain schools. Some schools provide Mandarin and Tamil as languages of instruction for certain subjects. Each level of education demands different skills of teaching and learning ability. Several institutions in the city are older than 100 years—such as Bukit Bintang Girls' School (1893–2000, relocated to Taman Shamelin Perkasa in Cheras and renamed GIS Garden International school Seri Bintang Utara), Victoria Institution (1893); Methodist Girls' School (1896); Methodist Boys' School (1897); Convent Bukit Nanas (1899), St. John's Institution (1904), Confucian Private Secondary School(1906), Kuen Cheng High School (1908) and Tsun Jin High School (1913). Kuala Lumpur is home to the University of Malaya (UM). Established in 1949, it is the oldest university in Malaysia, and one of the oldest in the region. It was ranked the best university in Malaysia, the 32nd best in Asia, and 3rd in Southeast Asia in 2014. In recent years, the number of international students at University of Malaya has risen, as a result of increasing efforts made to attract more international students. Other universities located in Kuala Lumpur include Taylor's University (TULC) being the top Private University in Malaysia, International Islamic University Malaysia (IIUM), Universiti Tunku Abdul Rahman (UTAR), UCSI University (UCSI), International Medical University (IMU), Open University Malaysia (OUM), Kuala Lumpur University (UniKL), Wawasan Open University (WOU), Tunku Abdul Rahman University College (TARUC) Help University and the branch campus of the National University of Malaysia (UKM) and University of Technology Malaysia (UTM). The National Defence University of Malaysia is located at Sungai Besi Army Base, at the southern part of central Kuala Lumpur. It was established to be a major centre for military and defence technology studies. This institution covers studies in the field of army, navy, and air force. 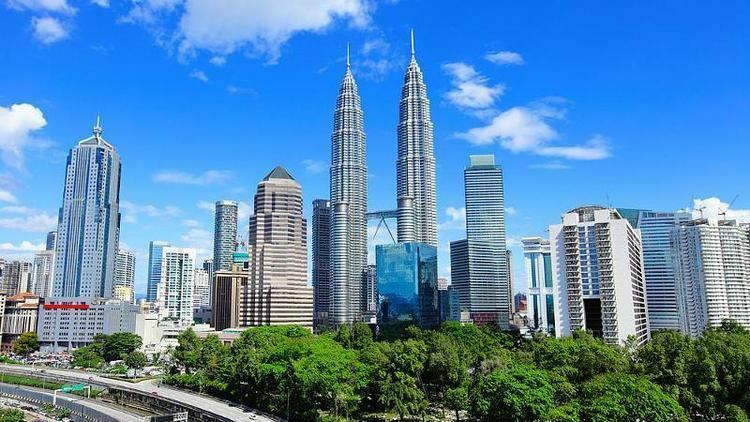 Greater Kuala Lumpur covers an even more extensive selection of universities including several international branches such as Monash University in Bandar Sunway, Nottingham University and Xiamen University. The premier performing arts venue is the Petronas Philharmonic Hall located underneath the Petronas Twin Tower. The resident orchestra is the Malaysian Philharmonic Orchestra (MPO), consisting of musicians from all over the world and features regular concerts, chamber concerts and traditional cultural performances. The Kuala Lumpur Performing Arts Centre (KLPac) in Sentul West and Damansara Performing Arts Centre (DPac) in Damansara Perdana are two of the most established centres for performing arts, notably theatre, plays, music, and film screening in the country. It has housed many local productions and has been a supporter of local and regional independent performance artists. One of the highlights was the KL Sing Song 2006 music fest, which featured Malaysian singer-songwriters of various cultural backgrounds, from both West and East Malaysia, through two days of performances and workshops. Although Kuala Lumpur is touted as one of the host cities for the Formula One World Championship, the open-wheel auto racing A1 Grand Prix and the Motorcycle Grand Prix, races are held at the Sepang International Circuit in Sepang in the neighbouring state of Selangor. The Formula One event contributes significantly to tourist arrivals and tourism income to Kuala Lumpur. This was evident during the Asian financial crisis in 1998. Despite cities around Asia suffering declining tourist arrivals, Kuala Lumpur tourist arrivals increased from 6,210,900 in 1997 to 10,221,600 in 2000, or 64.6% increase in tourist arrivals. In 2015, the Kuala Lumpur Street Circuit was constructed to host the Kuala Lumpur City Grand Prix motor racing event. Football is one of the most popular sports in Kuala Lumpur. The Merdeka Tournament is mainly held at Stadium Merdeka. The city also the home of Kuala Lumpur FA, which plays in the second-tier Malaysia Premier League. Kuala Lumpur has a considerable array of sports facilities of international class after hosting the 1998 Commonwealth Games. Many of these facilities including the main stadium (with running track and a football field), hockey stadium and swimming pools are located in the National Sports Complex at Bukit Jalil while a velodrome and more swimming pools are located in Bandar Tun Razak, next to the Taman Tasik Permaisuri Lake Gardens. There are also football fields, local sports complexes, swimming pools and tennis courts scattered around the suburbs. Badminton and 'takraw' courts are usually included in community halls. The AFC House—current headquarters of the Asian Football Confederation—is built on a 4-acre (16,000 m2) complex in the Kuala Lumpur suburb of Bukit Jalil. The city is home to the country's main pay television service, Astro, a satellite television service which broadcasts local and international television channels such as CNN International Asia Pacific, BBC World News, STAR World, FOX Movies Premium and HBO Asia. Al-Jazeera, the Doha-based Arab news network, has launched a new English-speaking channel called Al-Jazeera English to boost its international viewership with one of its broadcast centres based in Kuala Lumpur. Phoenix TV, a Hong Kong-based television broadcaster has also announced plans to expand its regional business by partnership with local satellite TV provider Astro. In March 2008, Time Out, an international listings and events magazine, was launched in Kuala Lumpur, its 24th global city. Kuala Lumpur has been featured in all aspects of popular culture such as movies, television, music and books. Television series set in Kuala Lumpur include A Tale of 2 Cities (starring Rui En and Joanne Peh). Movies set in Kuala Lumpur include Police Story 3: Super Cop (starring Jackie Chan and Michelle Yeoh), Entrapment (starring Sean Connery and Catherine Zeta-Jones) and Children of Men (starring Clive Owen), in which the Petronas Twin Towers were depicted in flames for a few seconds. Kuala Lumpur, along with Putrajaya, was featured in the music video for the single "Dancing Out" by South Korean boy band Super Junior. Like most other Asian cities, driving is the main mode of commuting in Kuala Lumpur. Hence, every part of the city is well connected by highways. As capital of Malaysia, Kuala Lumpur has a comprehensive road network that leads to the rest of Peninsular Malaysia. In terms of air connectivity, Kuala Lumpur is served by two airports. The main airport, Kuala Lumpur International Airport (KLIA) at Sepang, Selangor, which is also the aviation hub of Malaysia, is located about 50 kilometres (31 mi) south of city. The other airport is Sultan Abdul Aziz Shah Airport, also known as Subang Skypark and served as the main international gateway to Kuala Lumpur from 1965 until KLIA opened in 1998. KLIA connects the city with direct flights to destinations in six continents around the world, and is the main hub for the national carrier, Malaysia Airlines and low-cost carrier, AirAsia. KLIA can be reached using the KLIA Ekspres a airport rail link service from KL Sentral, which takes twenty-eight minutes, while travelling by car or bus via highway will take about an hour. Air Asia and other low-cost carrier flights do not fly out of KLIA main terminal but from KLIA2 which is two kilometres from KLIA. KLIA2 is served by an extension of the KLIA Ekspres and by buses from KL Sentral. As of 2007, Sultan Abdul Aziz Shah Airport is only used for chartered and turboprop flights by airlines such as Firefly and Berjaya Air. Public transport in Kuala Lumpur and the rest of the Klang Valley covers a variety of transport modes such as bus, rail and taxi. Despite efforts to promote usage of public transport, utilisation rates are low as only 16 percent of the population used public transport in 2006. However, public transport utilisation is set to rise with the opening of 2 light metro (LRT) extension lines on 30 June 2016. Rail transport in Kuala Lumpur encompasses the light metro (LRT), monorail, commuter rail and Airport rail link. The LRT system has 2 lines namely, Kelana Jaya Line and Ampang Line, connecting many locations in the city with major suburbs in Greater Kuala Lumpur. The Monorail serves various key locations in the city centre whereas the KTM Komuter runs between the city and the suburbs. The main rapid transit hub is KL Sentral, which is an interchange station for the rail systems. KL Sentral is also a hub for intercity railway service namely KTM Intercity and KTM ETS. It provides rail services to as far as Singapore in the south, and Hat Yai, Thailand, in the north. The rail system in Kuala Lumpur is expanding fast with more train lines due for completion or in the pipeline. In December 2016, the 1st phase of Klang Valley Mass Rapid Transit (MRT) Project, Sungai Buloh-Kajang Line was completed, the remaining phases of the line will be open in July 2017, providing a more efficient ride around Greater Kuala Lumpur. In Kuala Lumpur, most taxis have distinctive white and red liveries. Kuala Lumpur is one of the major ASEAN city with taxis extensively running on natural gas. Taxis can be hailed from taxi stands or from the streets. Nevertheless, taxis are known to charge high rates for foreigners.